I was visiting NYC recently and had a long conference call in my future. I decided it was time to get a headset for my lame RAZR phone. (Yes, I have iPhone envy.) Since I refuse to be bound to AT&T for two years in order to have a iPhone, I decided that at the very least, I deserve a sweet bluetooth headset. 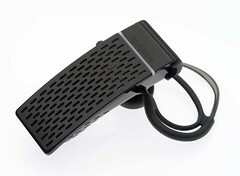 The Aliph Jawbone headset is in fact very cool and works like a charm. Now that I don't take the Caltrain but live in a developing country, I find that the Jawbone is mainly connected to my MacBook and used for Skype or Gizmo calls. Yes, these bluetooth babies aren't just for your phone. Pair them with a modern laptop and you can wonder around the apartment while Skyping with the homeland for hours on end.